... to bright! I love the new bright look. This project took me 2 hours and $44.00. I followed THIS simple tutorial almost exactly. I also did my usual at Home Depot...obsessively ask questions and let them know that I know next to nothing about home renovations so they spell it out for me like I'm five. Now that I have this new (but old looking on purpose) fireplace, I am going to play with some new mantel decorating ideas. 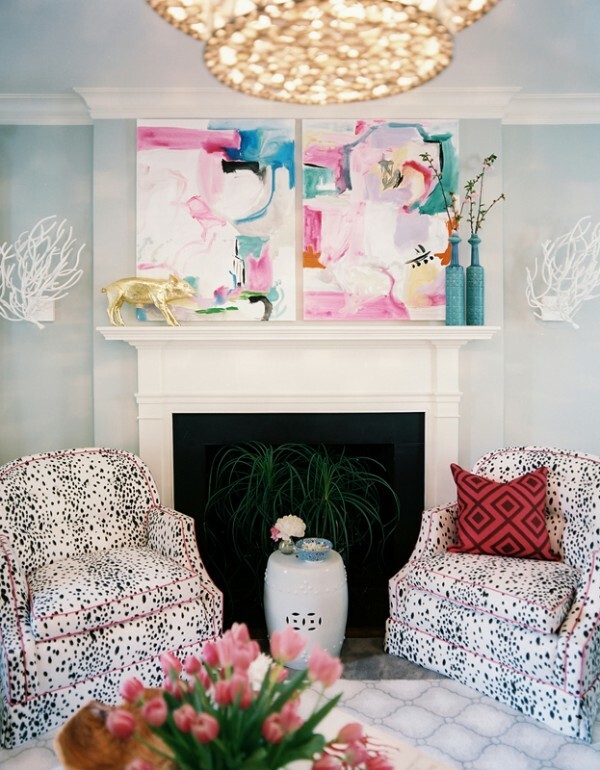 Home decorating ideas are rampant on the Internet, but I found a few I liked before I got wildly overwhelmed and started doing something else. I like the look of this big mirror and smaller items flanking the side. 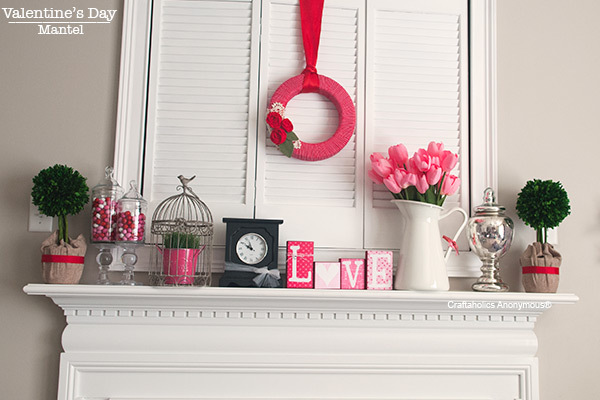 I like decorating mantels for holidays, and this Valentines mantel is no exception! So cute. 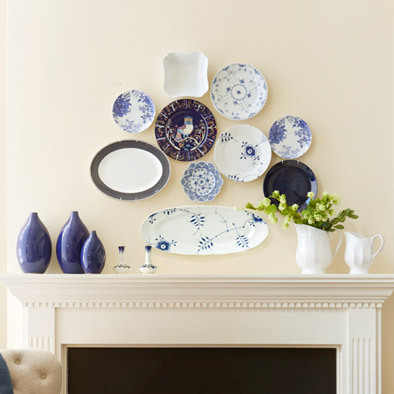 I have to say I LOVE this busy wall above the bright yellow fireplace. 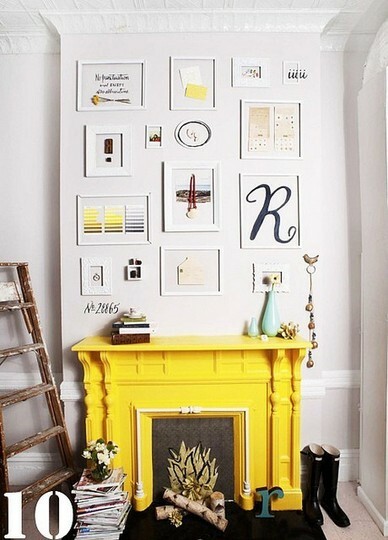 I don't think I could pull off the yellow, but I do plan to pepper my walls with mismatched frames. This plate collection is super duper cute. Maybe you're into funky, colorful art...if so, this looks simply badass above the fireplace. 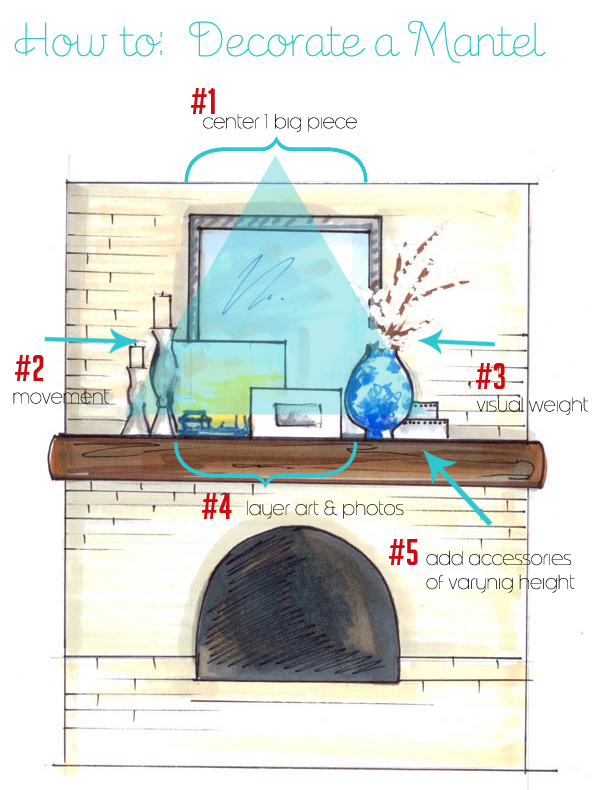 If you don't have a natural eye for decorating (ahem, I'm talking to myself), this simple "How To" Decorate a Mantel" diagram should come in handy. Other home projects on the horizon...we just got a new kitchen table and are getting new floors very soon. I might as well strike while the obsession is still going on! Next up, I promise a NON-home related post. Have a great week! looks great! show us how you decorate it, pretty please! How fun! It’s so much brighter. 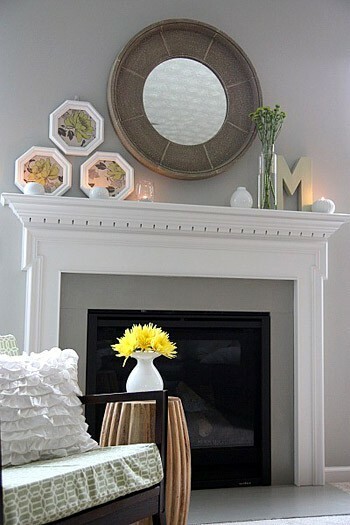 Your inspiration is fantastic, and I can’t wait to see how you decorate the mantel!